A flaw in Apple’s FaceTalk video chat app allowed attackers to eavesdrop on iPhone users. Since Thursday there is an update that should fix the problem. About a week after becoming aware of a malfunction in the iPhone app “Facetime” Apple has delivered an update on Thursday. With iOS 12.1.4 it should no longer be possible to eavesdrop on users via the microphone. The problem became known at the end of January. A user had posted a video on Twitter showing how the “face-time” app for “eavesdropping” could be abused. Due to a software error, the called party’s microphone could be activated with a simple call, even before it picked up. Apple then temporarily turned off the group chat feature to gain time for a resolution. 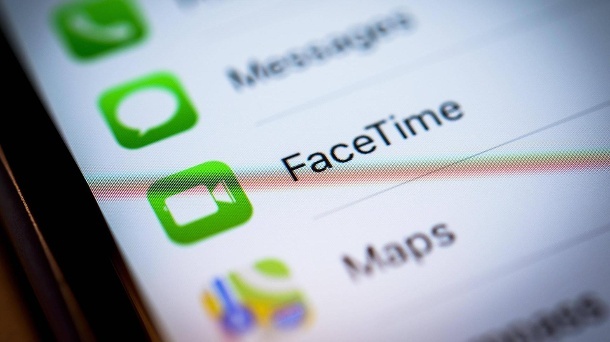 In order to be able to use Facetime again without restrictions, users must import the update to 12.1.4. Also for Mac computers there is an update with macOS Mojave 10.14.3. The discoverer of the vulnerability should receive a reward, Apple promised. In the US, the group still threatens legal trouble. A lawyer from Texas is suing Apple . The software error could have bugged confidential information. In addition to the “Facetime” -Sicherheitslücke also other vulnerabilities have been resolved, said Apple. Among other things, an error has been found in the live photo function. In addition, two so-called “zero-day exploits”, ie two previously unknown, critical vulnerabilities, had to be closed. Who uses an iPhone or iPad should install the update in a timely manner.